Now that the 2018 NFL Draft is completed, we promise to hear a lot about remaining veterans on the free agent market. That includes a former Pro Bowl receiver in Dez Bryant who has seen a dry market for his services. Still unemployed, the veteran reportedly turned down a long-term contract offer from the Baltimore Ravens back in April. Bryant, 29, is apparently looking for a huge one-year contract so he can hit free agency next March (more on that here). However unreasonable that might seem, we now have a clear understanding of the Ravens’ offer to Bryant. It reportedly included $7 million per season on a multi-year deal. It goes without saying that other teams are not willing to offer Bryant anywhere near that amount per season. And in reality, it makes perfect sense. Bryant is coming off a two-year span that saw him average just north of 800 receiving yards while putting up a catch rate of less than 60 percent. Those types of numbers don’t warrant what Bryant is seemingly demanding in free agency. 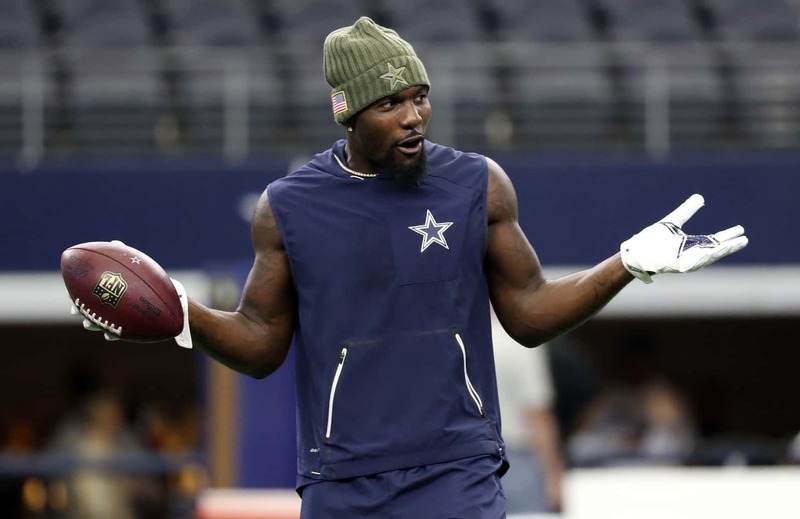 We also have this report coming out of Dallas indicating that those within the Cowboys’ organization saw a massive drop off in terms of Bryant’s ability to separate over the past couple seasons. Sure that could be nothing more than a narrative given quarterback Dak Prescott’s inability to throw to the outside. Even then, it’s something other teams have apparently seen as well. It should be interesting to see what comes of this situation. If Bryant is looking for a huge pay day on a one-year deal, he’s going to be sorely mistaken. And if he’s out here turning down lucrative long-term deals, one has to wonder what type of advice the receiver is getting over at Roc Nation.